Happy Friday! Someone recently told me about Live Person and the site really seems like it has a lot to offer! The site offers a huge bank (more than 30,000!) of experts available to chat with you and answer your questions on a variety of topics! From technology, to health, to sprituality, to education, to business and much, much more, Live Person offers direct, live advice, right at your fingertips. What a great concept! There more than 150 experts in Marketing & Advertising alone, so I thought many of you may find the site valuable. And, if you happen to be an expert in your field, you can apply to be listed on their site. Have a great weekend! And, don't forget Press Release Week starts Monday. I hope to see you back here then! 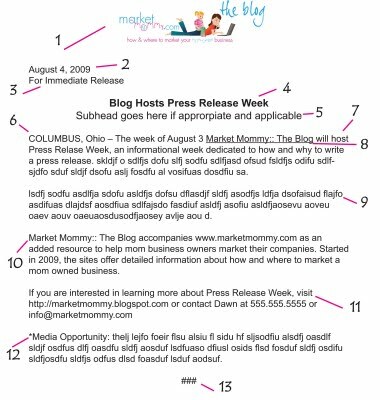 Market Mommy:: The Blog has some fun planned for next week :) August 3 - 7 will be Press Release Week here at the blog. Each day will feature a new post about a different aspect of press release writing. There will be some great information about formatting, distribution, etc. So, be sure to check back! If you would like, RSVP for the event on our Facebook Fan Page. The best part of the week will be a special prize package given away on Friday evening. One lucky mom business owner will win a package including a press release, button ad design and business card design from Market Mommy. The package is valued at $75!! For more services offered by Market Mommy, click here. Details about the official rules will be posted on Monday. However, you will be able to register multiple times each day!